By nature, anything having to do with babies is cute. 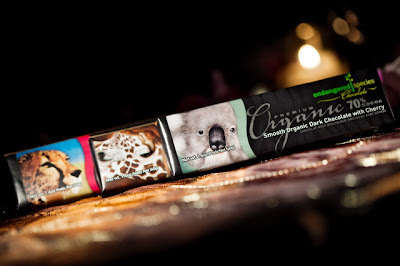 The zoo animals theme is a popular request and each time Rick does it a little little differently. Sometimes the animals are done more realistically and other times, like in this case, they are done more as a baby might see them, which is cute and cartoon-y. 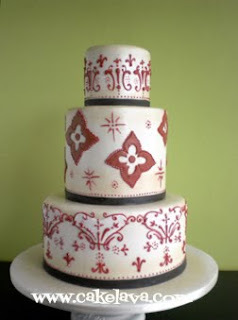 Rick chose to make this cake colorful with patterns on the cake with big polka dots accenting the cake on the sides. 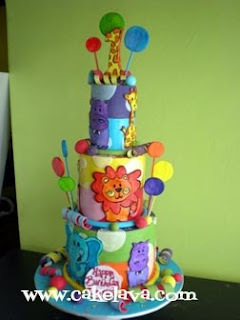 This tall cake was nearly 3 feet and was a huge hit with the mother of the child when she came to pick it up. It was a beautiful explosion of color and full of life and sweetness, just like her baby. More to come soon. 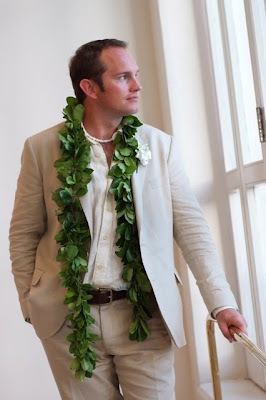 Aloha, 'til next time! In our last post, we wrote about Shannon and Liam's wedding cake along with the details of their Valentine's weekend wedding. Today you can see how it all came together! 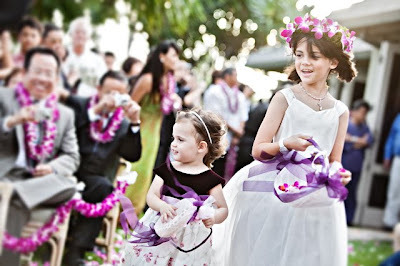 A BIG Mahalo once again, to photographer Dave Miyamoto for these wonderful images! And next time, back to the cakes! Shannon and Liam's Wedding - The Cake! Shannon and Liam were one of a number of couples we made a wedding cake for on Valentine's Day weekend. 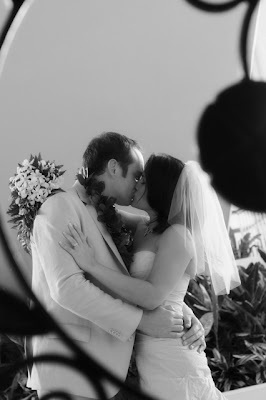 This UK-based couple flew in from England to have their wedding at the beautiful JW Marriott Ihilani Resort in Ko Olina. 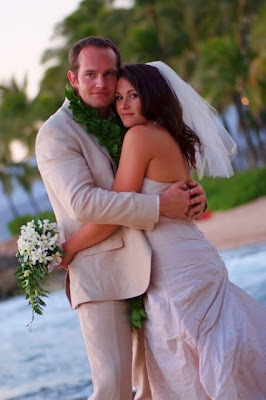 We always love visiting the Ihilani Resort. The grounds are lovely and we see incredible sunsets out there. 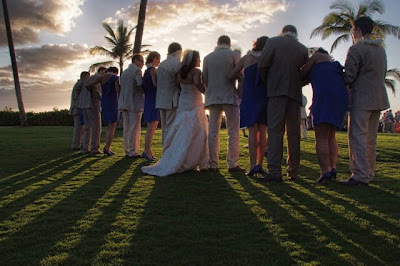 It's the perfect location for a wedding and if you want to book the Ihilani on a busy weekend like Valentines Day, it better be booked in advance, which is exactly what Shannon and Liam did. 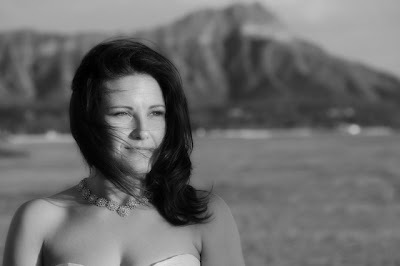 Rick and I met with Shannon and her mother back in April when she was visiting Oahu and meeting with her vendors. 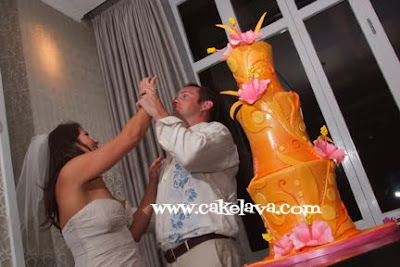 At the time we met with her we learned that unlike many brides who want to control every detail of their wedding, Shannon wanted the cake to be a suprise for her on the wedding day. 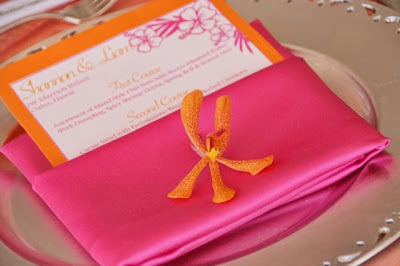 She would provide us colors to reference and elements of the cake she and her fiance Liam might want, and leave the rest up to Rick. We knew Shannon and Liam wanted a cake that would WOW their guests and have them talking about it for many years to come. 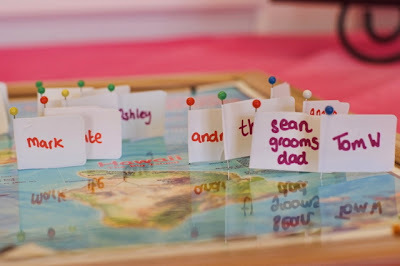 The guests were coming from the U.S. as well as the U.K. and it was as much about celebrating the love between Shannon and Liam as it was an excuse for a party! This was a wedding reception scheduled til the wee hours of the morning. 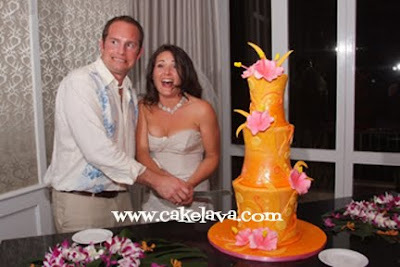 They are a really fun couple and wanted the cake to be unusual, full of color and whimsy and have a tropical feel to it. 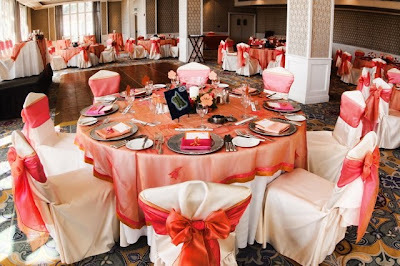 Their reception colors were primarily orange and pink and the hibiscus flower was being used as an accent piece. Rick took these elements, and designed a cake that had concave tiers and was a dramatically tall. Shannon and Liam chose 3 flavors for their cake. Our Kona Toffee Crunch, Chocolate Dream and Hot Fudge Sundae. Being that it was Valentine's weekend, we didn't have much time to enjoy the lovely reception room that the couple had arranged, and had to rush off to another wedding immediately after. We didn't get to see the couple or their reaction to the cake, but thankfully, their wonderful photographer, Dave Miyamoto sent us images of the couple with their cake and lots of wedding images. It was almost like being there! Thank you, Dave! 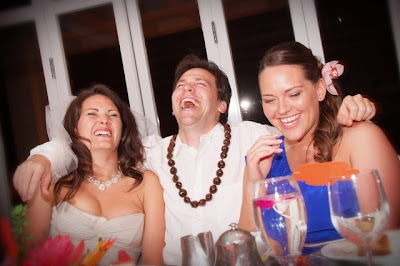 Today we are focusing on their cake, and in our next post, we will showcase Shannon and Liam's wedding images given to us by Dave Miyamoto, who so perfectly captured Shannon and Liam's fun loving spirit and the details of their wedding. 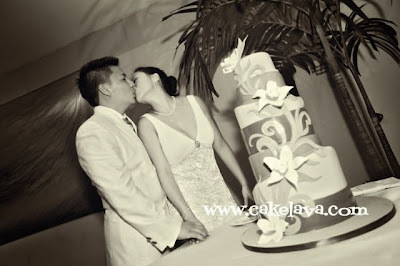 This past weekend the theme was LOVE and romance, where every cake made, except for one was a wedding cake. 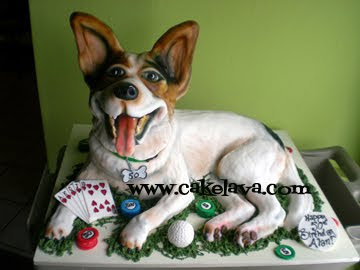 This sculpted dog cake was the exception, but even as a birthday cake it was still a romantic gesture because it was ordered by a woman for her husband's surprise 50th birthday party. What could be lovelier than two people growing older together and celebrating with their child, whether human or canine? When the cake was ordered, more than a year in advance by our client, she was terribly excited that Rick was able to make their Jack Russell Terrier, Ohime, which is Japanese for "Princess" . Ohime appears to be a mix of Jack Russell and possibly Chihuahua, but we aren't sure of the exact breed. We just know she's really cute and stole our hearts! Our client explained to us that she and her husband had become "Dog people", you know the types, and they were head over heels for Ohime. 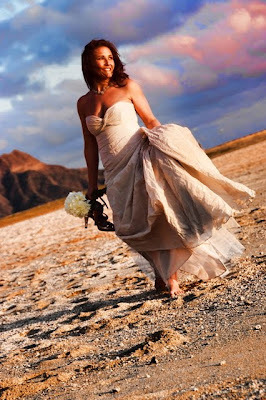 Ohime was her husband's pride and joy and asked if we could include his other interests, golfing and playing poker. At first I thought, a poker playing dog, where have I seen this before, but Rick made it work just by having the items present and keeping the focus on their princess, Ohime. In person, Ohime was large, incredibly realistic and all made of cake. 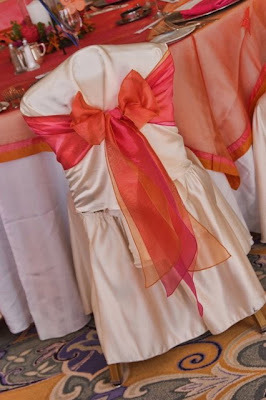 She was made out of our Guava Lava flavor, a pretty pink cake perfectly suited for a princess! Coincidentally, one of the anchors from a local news station was here interviewing and filming Rick over the Valentine's Day weekend and she and her cameraman were very taken by the dog cake, and asked our client if they could come and film at their party. She of course agreed and we're excited to see the footage when it airs in the future. We will keep you posted. 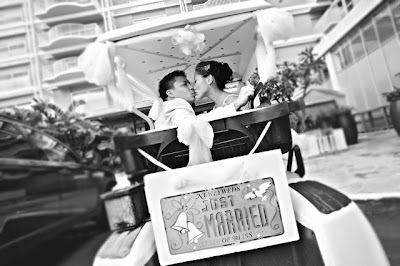 You may recognize our Next Featured Wedding couple, Yun and Jonathan if you follow our blog or facebook. Shortly after they were married, we posted about their wedding cake and some of the details of this eco-friendly wedding. 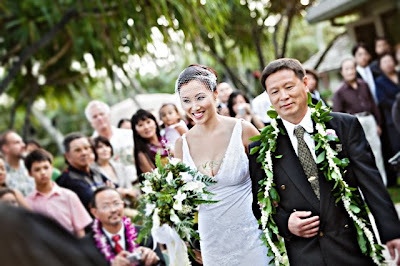 We selected Yun and Jon to be our next Featured Wedding on cakelava.com for a number of reasons, including our experience working with the couple, the "green" concept throughout the wedding, and their photographer Mike Pham's beautiful images. You can read our previous post to learn more about the details. 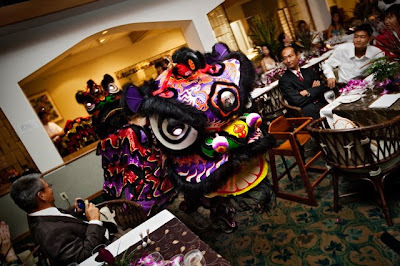 Below are some of the striking images provided to us by Mike Pham to share with you. 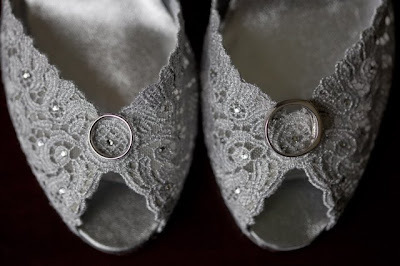 Many more can be seen once their Featured Wedding goes up on our website in the near future. 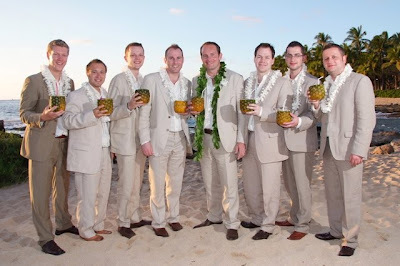 We love how this wedding had the marvellous combination of high-end components with some well-known vendors working harmoniously with the contributions of their talented friends, colleagues and clients, who offered up their services to the couple. Yun mentioned to me that she and Jonathan were so lucky to have such a talented network of people to help them with their wedding. 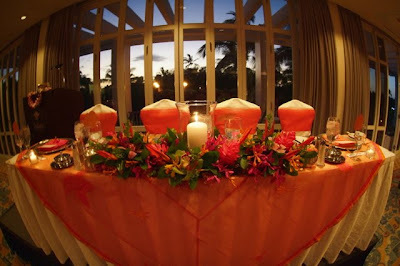 Their vendor list includes, The Waialae Country Club, where they were married and held their reception. 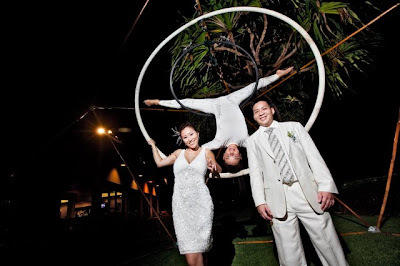 Photographer Mike Pham of Mike Pham Photography, Andrea Torres from Samadhi Aerials. cakelava for their wedding cake. Videographer Jay Hanamura, and Ikaika and Jazz band for their music selection, and many others. 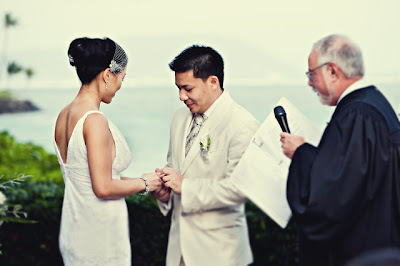 Yun and Jonathan were gracious and so excited about their wedding cake and it made our design process enjoyable. Their wedding day was their special day, but they never lost sight of their impact on the environment. 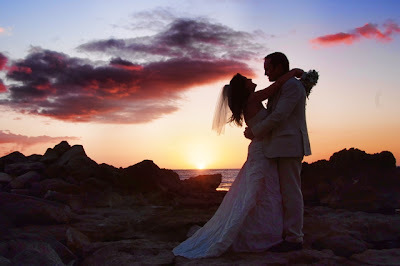 Their respect and support of nature and wildlife was truly admirable, and we are so happy to have them as our Featured Wedding couple. Congratulations to Yun and Jonathan! 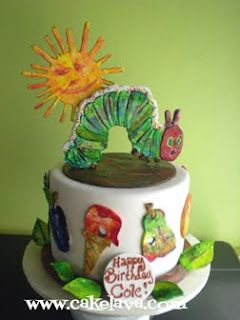 We were excited when we got the order for The Very Hungry Caterpillar cake, because I was more than just a little familiar with the book. It was one of my favorite children's books growing up, and it's popularity exploded over the years. Millions of copies have been printed of Eric Carle's beautifully painted book and this children's classic dating back to 1969, has been translated into 30 languages! Although I could have easily remembered each and every page from memory, it always helps to have the book in front of you for accuracy, and our client was happy to bring us one for Rick to work from. The Very Hungry Caterpillar is a great match for Rick because of the painterly style throughout the book, and he had a lot of fun with this one. The cake had partly eaten handpainted fruits completely around the cake and the gluttonous caterpillar placed on top. The cake was gorgeous in person with the varying shades of color and painterly style. It was a nice trip down memory lane, and one we're happy to take anytime! 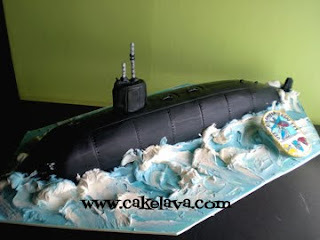 This black sculpted USS Columbia naval submarine was made to honor the men of the USS Columbia SSN 771. Rick sculpted the submarine out of our Chocolate Dream cake, and it doesn't get more chocolaty than this -- chocolate cake, ganache, chocolate mousse and chocolate chips. 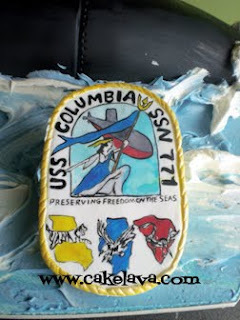 He added the handpainted emblem for the USS Columbia SSN 771 to make the cake even more special. When our client arrived at our studio to pick up their cake, we could tell she was really impressed and moved by it. Today's post is dedicated to the hard working men and women of the Navy on the USS Columbia SSN 771 and the spouses who support them. We got some exciting news from Patti Gagstetter, one of the organizers of the American Cancer Society's Relay for Life "Cakes for a Cure" big fundraising event cakelava is participating in on April 24th in Greenwood, South Carolina. 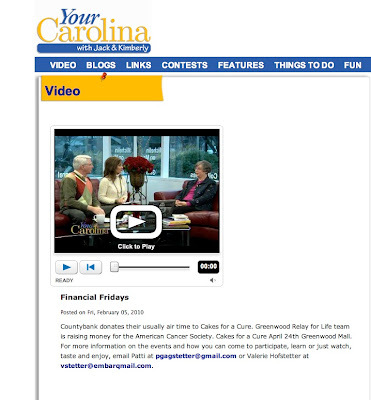 Patti filmed a segment with "Your Carolina" TV in which she talks about the event and mentions the calendar that Rick made a cake for. This segment will probably only run through the weekend so be sure to catch it while you can. You can read more about this event and the calendar in our previous blog post. All cakes designed for the "Cakes for a Cure" fundraiser calendar had the theme of "With a Song in My Heart", and Rick's chosen song was Hawaii's own Israel Kamakawiwo'ole's hauntingly beautiful version of "Somewhere Over the Rainbow". 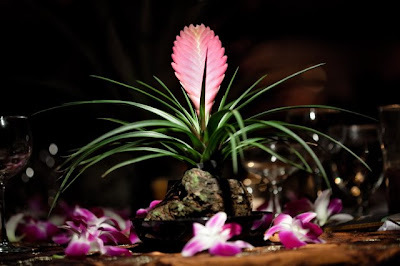 You'll have to wait to see the cake until the calendar comes out, along with Hawaii photographer Stephen Ludwig's images of the incredible cake! Ashley Vicos, Norm Davis, Anna Ellingson, and Rick Reichart, are just a few of the designers asked to participate in this very special event. For all you East Coast cakers, out there, this is one great event to support! Unfortunately, Rick and I are not able to attend the event due to previous client commitments. We will be thinking of Patti, Valerie, our fellow cake designers and of course, the cancer survivors, who this event will most benefit. Please support this amazing event if you have the opportunity. If you are not able to attend in person, you may show your support by purchasing t-shirts, aprons, or calendar of the cakes, or you can make a pledge directly to the cause. You may also follow all the news on the Greenwood, South Carolina chapter of Relay for Life's Facebook fan page. Mahalo! 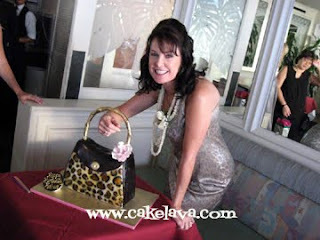 Leopard Print Purse Cake - This Gal Has Gone Wild! 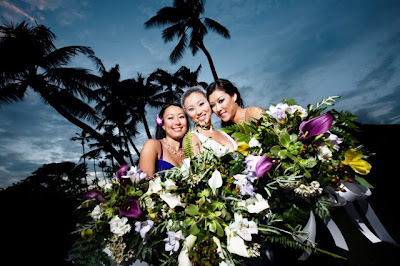 Over the past nearly five years of our business, we've made countless cakes for Mona Hirata, who also happens to be one of Hawaii's best event and wedding coordinators. 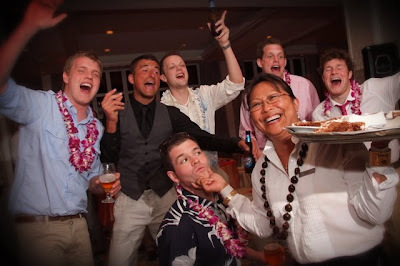 Her love of cakelava cakes has not been exclusive to her company's clients, but extends to her personal parties, and Mona and her team love to party! Where there's a party, there's a cake, and we always enjoy making cakes for Mona. 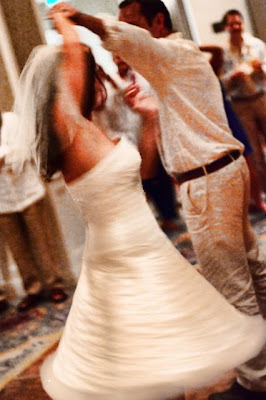 Each one is fun, different, and Rick looks forward to surprising Mona and her guests. 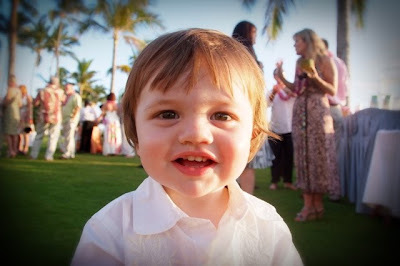 On Saturday, January 30th, we braved our way into Waikiki to deliver Robin's cake. The word "braved" was used because this was also the night that ABC's LOST broadcast their season premiere exclusively for Hawaii, on a huge screen in Waikiki beach, with about 15,000 fans expected. Robin's cake was delivered to a restaurant just a few blocks away from where it was premiering, so even though we were not able to attend, we felt like we were there just because of the traffic endured. It was well worth it though. Robin, who Mona told us is quite the wild and fun gal, described her style as "sophisticated and trashy" and Rick said "I can do that! 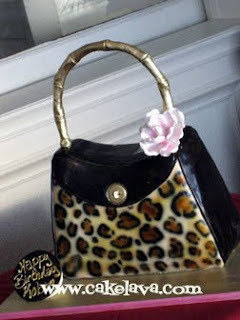 ", and designed a sculpted purse cake for her with a leopard print and gold bamboo handle and a sweet handcrafted pink flower. Rick must have been channeling Robin that day because she showed up to her party in a leopard print dress! It was a gorgeous in person and we heard that Robin thought the cake was an actual purse, as she tried to put her hand through it. 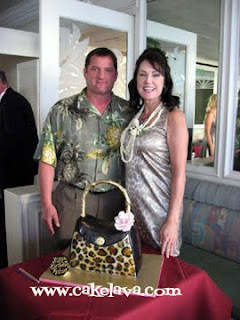 The cake was pretty true to size and would look super fine on the arm of any woman. It made me wonder if Rick was a purse designer in another life because this one was SPOT on! Happy Birthday Robin! Last Friday night the Young Presidents Organization threw an Italian themed dinner party, and had Rick design a cake based on the invitation they provided which had delicate scrollwork and the floral pattern shown on the cake. They had a wonderful night in store for them. 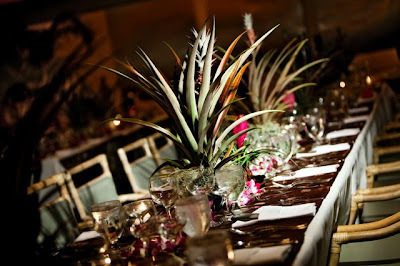 A private dinner party at Sapori Enoteca/Birreria with a menu by Chef Donato Loperfido, (we're already drooling!) with our Banana Blueberry Mascarpone cake for dessert, then it was off to The Marriage of Figaro opera. These young presidents work hard and deserved a great night out and we were glad to be a part of it! Ever since the mid-80's, when we first heard "Bitchin' Camaro" by the Dead Milkmen, we can't help but think of the song each time we see a Camaro. 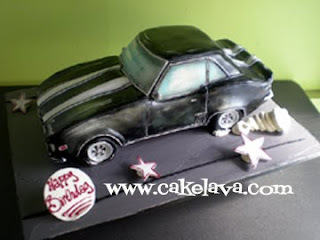 Especially one as Bitchin' as a 1969 Camaro Z28, which was requested to be made in cake, by our client Jenn as a birthday gift for her father. 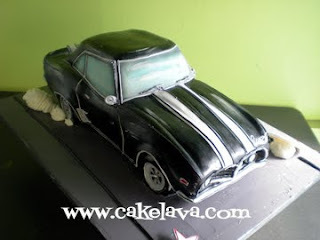 Rick sculpted the black Camaro with white stripes out of Banana cake (flavor was Bananarama), added a vanity license plate, "MAURO", and this bad boy was ready to roll!